> A star is born? Thursday night’s abject display in Prague was the worst performance by Saints since that awful capitulation down at Bournemouth last season. 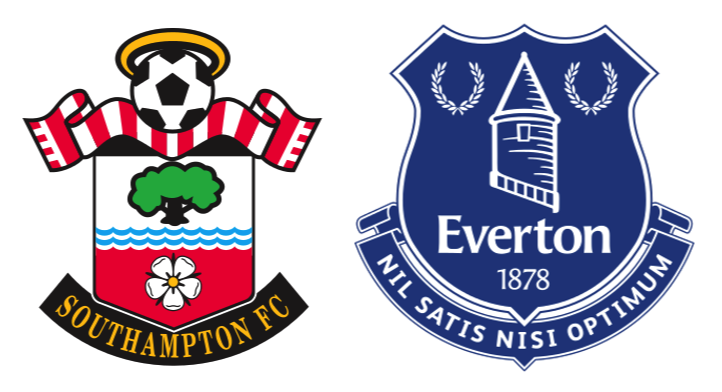 Saints needed a proper performance, so it was timely to face Everton at home. Despite them giving us a right tonking at SMS last season, Ron’s current charges are struggling for form themselves after a good August and September. Claude rang the changes but, with no Davis or Tadić available, Højbjerg and JWP were kept alongside Romeu and in front of the “first choice” back five. Austin and Redmond were recalled but Puel pulled a rabbit from the hat by selecting Josh Sims as the third forward. What a great decision that turned out to be. Everton started with their stock back five, Gueye and Barry holding and Barclay, Bolasie and Lennon supporting Lukaku. Both teams wore their home kit and Everton kicked off. After about 10 seconds, Everton lost possession and the next time they got the ball was when they fished it from their net. Saints passed the ball quickly, down the left then crossfield and out right where Sims cut in to shoot. Defenders blocked that effort but the ball span away to Cédric. The Euro winner delivered a telling cross that unsettled Everton’s defenders. As it dropped, Sims made space for himself and prodded the ball goalwards. It arrived in front of Charlie Austin who headed over the line: 43 seconds gone and 1-0 Saints. Saints were soon attacking again with Sims winning a corner which was cleared. Redmond and JWP then attacked down the left but as the cross came in, Charlie was penalised for a high boot. When Lukaku at last saw the ball, he was downed by Fonte. Saints continued to enjoy better possession and worked the ball nicely. On 7 minutes Everton finally got the ball and held onto it while catching their breath. When they eventually mounted an attack Lennon’s cross was easily fielded by Forster. Everton enjoyed a little more possession before Saints burst down the left where Bertie was fouled. JWP launched the ball into Everton’s area but it came out to Højbjerg who took aim and then drove it high over the bar. On 16m Virgil tracked Lukaku over to the left and closed him down. The Belgian hurled himself to the ground but the referee saw no foul and waved play on. Saints kept moving nicely with Redmond and Sims sending in crosses. What was pleasing to see was how quickly the home team won the ball back whenever they lost possession. One such recovery enabled Højbjerg to take another long range shot; this was closer but still cleared the cross bar. On 24m Redmond cut in menacingly but sliced his shot beyond the back stick. Then Virgil carried the ball upfield, fed Højbjerg who picked out Charlie. His first time shot didn’t have enough power to trouble Stekkers. Then Everton almost equalised. Barry picked out Coleman’s dart into the box. The Irishman ignored Lukaku’s run and pulled the ball back for Gueye. The midfielder blazed the ball into the Chapel End and Saints breathed a collective sigh of relief. A minute later, Lukaku again went looking for the ball but Virgil again shadowed him and cleared the danger. Both full-backs were aiding Saints’ attacks – first Bertie, then Cédric delivered crosses which Williams headed away. Then, on 30m, Cédric showed his defensive qualities, tracking then tackling Bolasie and clearing. Bolasie was key to Everton’s next attack when the ball came to him on half way. He sped forward and rounded Virgil but curled his shot well wide. A minute later Romeu felled Bolasie out left enabling Baines to hit a cross into our box. Something went awry with Saints’ marking as Barry arrived unmarked at the far post. Fortunately he rose well but headed over Fraser’s bar. There was then an end-to-end period with both sides seeing the ball. Saints did more with it; JWP’s corner needed clearing and Sims’ cross from the right just eluded Charlie. Then Sims found Cédric who hit his cross too long for Charlie to make a meaningful header on target. Virgil’s long diagonals were not finding their mark and Mr Pawson was required to sort out some handbags starring Williams and Austin. On 43m Josh Sims’ day almost went pear-shaped. He lost the ball allowing Bolasie to break forward and curl an inviting cross for Barkley. The forward rose and met it perfectly – but thankfully missed the mark by a country mile. Everton enjoyed a bit more pressure, winning a corner off Bertie. Baines took the kick which dropped to Gueye who, for the second time, shot high, wide and horrible into the crowd. An uneventful extra minute passed before the whistle signalled half-time: still 1-0. In the Sky studio, Redknapp Jr and Terry Henry were raving about Josh Sims. There was some debate about whether Sims effort was goal bound (it wasn’t). Henry made us laugh when he said that, to a poacher like Charlie, a tap in from 2 inches was as good as “a bicycle kick from the half way line”. Fraser, Virgil and a few other Saints were waiting in the tunnel for the rest to emerge when Ronald came along. He made a point of shaking hands with them all – including Sims who he probably didn’t recognise. Anyhow, it was a nice gesture and I was sad to hear some of our thicker, Brexit-loving fans giving him stick during the game. Poor show indeed. There were no changes and the game resumed with Cedric again seeing off Bolasie and then Barry fouling JWP. Then on 49m Bertie won another corner on the left. JWP’s kick went beyond everyone bar Højbjerg who controlled it, went past a defender and crashed the ball against the near post and out. Austin was choked that the ball wasn’t crossed, but it was struck so hard it is difficult to know where the Dane was aiming. Next to shoot was Sims when the ball broke to him and he drew another save from Stekkers. On 52m Gueye went past Romeu but the Spaniard brought him down on the edge of our box. It was a decent shooting chance but Lukaku stepped up and shot over the bar. Three minutes later Bolasie again outpaced Virgil but again struck his shot off target. On the hour Saints won another corner on the right which Bertie took. Amazingly it eluded the whole defence, bounced off a surprised Austin’s shins and looped over the bar. Our next attack, down the left, saw the ball played into Højbjerg, but his pass was played a mite too firmly for the run of Sims. On 64m Bolasie almost equalised as he met a right-wing cross with an overhead, which Fraser kept out with his left boot. Bolasie met the rebound which sailed out of play. By then the lino had his flag up and the ref had stopped play. It wasn’t clear what the infringement was, or indeed when it took place. Replays suggested it was Bolasie’s follow-up that was close to connecting with somebody’s head, so Fraser’s reactions may have saved us there. Everton withdrew Lennon and brought on Delofeu. Saints carried on pressing, and were still better at both keeping and recovering the ball. On 67m Virgil strode forward with the ball, laid it off and continued his run into the box. As he tried to get to the return ball he was penalised for fouling Jagielka. The home fans were treated to a glimpse of the future when Sims collected the ball near his own box and drove upfield. Twice he put the ball one side of an opponent while sprinting past on the other. The crowd rose as he approached Everton’s box where Charlie was running into the box. Sadly the youngster’s composure deserted him and his cross field pass was easily cut out. Bolasie was easily Everton’s most potent threat. On 70m he cut in from the left but yet again his curling effort went over the bar. Then Everton brought on Mirallas for Barkley. Sims gave away a free-kick for clattering Baines and, soon after, the excellent Hojbjerg sent a fine pass through to Bertie. As defenders closed him down the ball broke to Redmond who took aim but curled his shot over the bar. Everton were still creating chances of their own. On 75m Fonte was twice obliged to head away, the second for a corner which was cleared. Then Sims cut in from the right and drove the ball across Everton’s box. Baines did really well to hook the ball away from danger. Moments later JWP should have sealed all 3 points. His first shot had Stekkers sprawling with the ball running loose. Charlie controlled it and centred to Prowsey, between the sticks, but his attempted volley went horribly wide. Everton were still in this match and Puel responded by replacing Redmond with Clasie. This allowed JWP to move up front and he was soon found by Cédric's cross. This time his effort drew a save from Stekkers, but Everton cleared the resulting corner. As Everton sought to take something from the game, Ron brought on Ener Valencia for Baines. Puel responded by withdrawing Sims and putting McQueen on the left wing. Saints’ debutant received a rapturous ovation from the Saints fans on a day he will never forget. Everton succeeded in pushing Saints back without creating a serious chance. Charlie was looking tired chasing balls lumped upfield so it was no surprise when Long replaced him. On 89m a good cross from Mirallas was met by Valencia; he got plenty of power on his header but little accuracy. Long’s running gave Saints the chance to get upfield. JWP had a shot blocked - then Stekkers came to claim a cross by Cédric. Down the other end Mirallas cut in from the left but his shot/cross went across the box and out. In the 3 added minutes, Saints dropped too deep enabling Barry to hit the visitors’ only effort on target. Thankfully, it was straight at Fraser’s chest. In their hurry to get on with it, Everton were guilty of a foul throw and, as soon as Cédric launched the ball onto the field, the referee’s whistle ended the game. MoM: Again my task is made difficult by the number of decent performances within the home team. Various reports I’ve looked at gave it to Josh, others to Charlie. I thought Cedric was possibly our best player - but making such a choice is always subjective. So I’m going to break with convention and nominate the referee, Craig Pawson, as man of the match. He was barely noticed which, I maintain, is the mark of a great referee. He let the game flow and didn’t chuck cards about like confetti. Well done Sir!